Last Saturday on the subway, I found myself accidentally eavesdropping on the group of strangers opposite me. The story being told was so compelling that I (almost) missed my stop in an attempt to hear the end. Stories have that effect on us. They hook us in, focus our mind and appeal to our emotions. We feel personally invested and propel ourselves towards the outcome. Soit makes sense that a great sales rep needs to be a great storyteller. They know it’s a sparkling narrative — not dry, recited facts — that paves the way to closed deals. That’s because a brilliant story triggers the release of oxytocin: the ‘trust hormone’. And despite our automation obsession, trust remains the number one driver of purchase decisions. 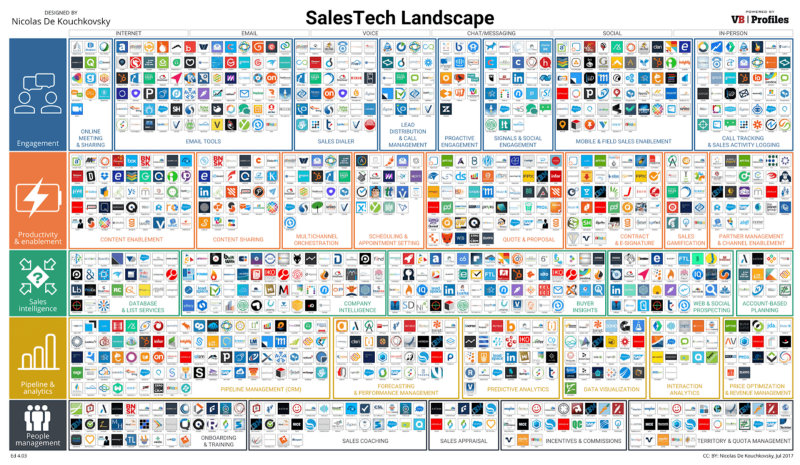 But the B2B landscape is changing exponentially, with over 700 SaaS sales technologies released last year alone. Companies have a world of data at their fingertips, and no longer rely on reps to enlighten them. Ratings and online reviews dominate the internet — and therefore, decision-makers’ choices. But today’s successful reps are adapting to these changes. Supported, not overshadowed, by technology, they’re creating new-and-improved narratives. Here are some key strategies and trends to watch in 2018.